Make Yourself at Home offers a selection of personally-inspected, privately-owned, fully furnished accommodations in Vancouver, BC. 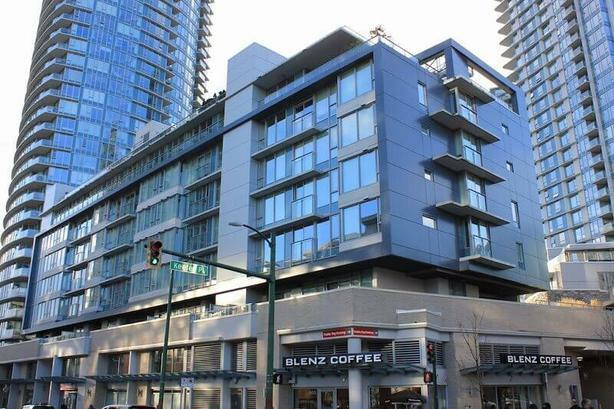 Lovely downtown 1-bedroom condo (queen bed) with den, solarium and Juliet balcony in Vancouver's International District near the Stadium Skytrain station. The suite is within easy walking distance to the Crosstown restaurants & shops on Beatty St., lower Robson street and Gastown. Glass dining room table with 4 chairs. It has all the appliances needed in a modern kitchen. Neighbours include Rogers Stadium, Tinseltown, Costco and T&T Supermarket. This apartment is perfect for either business travel or vacation accommodation. - 40" Plasma TV with cable & DVD player. - Building amenities include a pool, gym and sauna. - Underground pay parking available - rates vary.